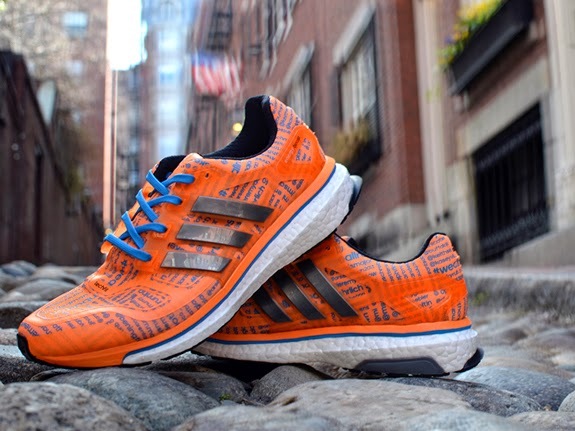 TODAY's Natalie Morales will cross the Boston Marathon finish line in custom adidas Energy Boost 2 thanks to a generous donation from adidas Running to One Fund Boston. 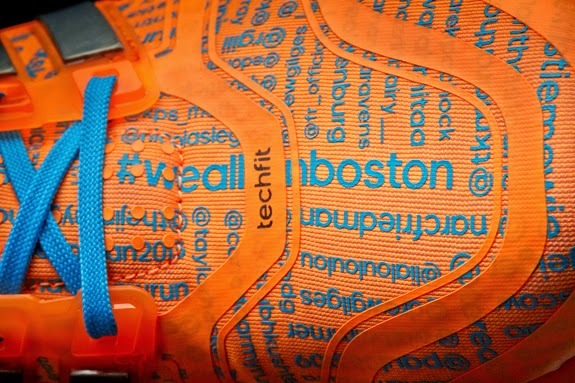 Natalie is one of several wearing these limited edition shoes on race day, which represent supporters from around the world as a part of adidas' #weallrunboston campaign. Thanks to the passion and support of thousands, adidas raised and donated more than $1.3 million for One Fund Boston in 2013. This year, to help Natalie's fundraising efforts benefiting One Fund Boston and Challenged Athlete's Foundation, please visit her page at crowdrise.com/natalie.